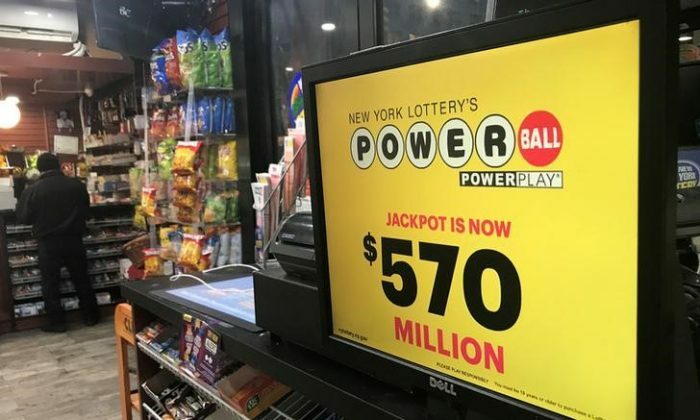 One Powerball ticket purchased in New Hampshire matched all six numbers for Saturday’s estimated $570 million jackpot drawing, the fifth largest grand prize in the game’s 15-year history, lottery officials said. Saturday’s winning Powerball ticket is the second large lottery grand prize drawn in as many days. Powerball tickets are sold in 44 states, and Washington, D.C., Puerto Rico and the U.S. Virgin Islands.